When people think about women’s fashion in Saudi Arabia, the firs thing that comes to mind is all black everything. Yes, in most places women do wear a black abaya, hijab, and frequently a niqab. But under the abaya lies incredible style and fashion. It’s common to see everything from designer clothes to traditional Arabic dress. 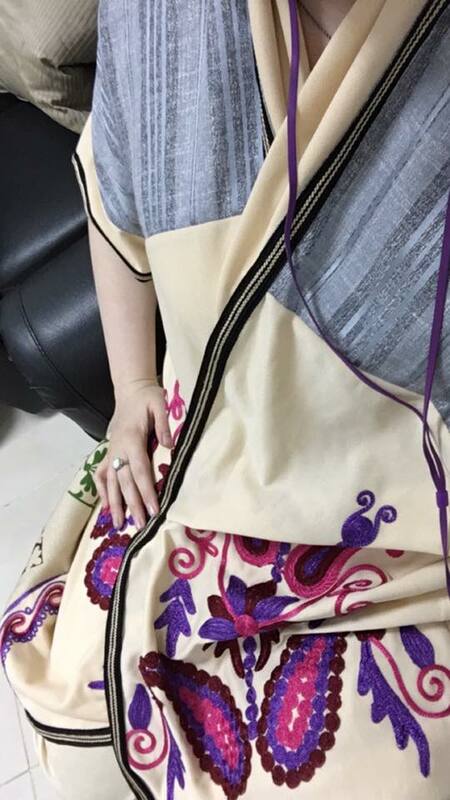 I purchased an Arabic style garment recently. It is a 2 piece garment, with a slip dress with a open front caftan to go over it. 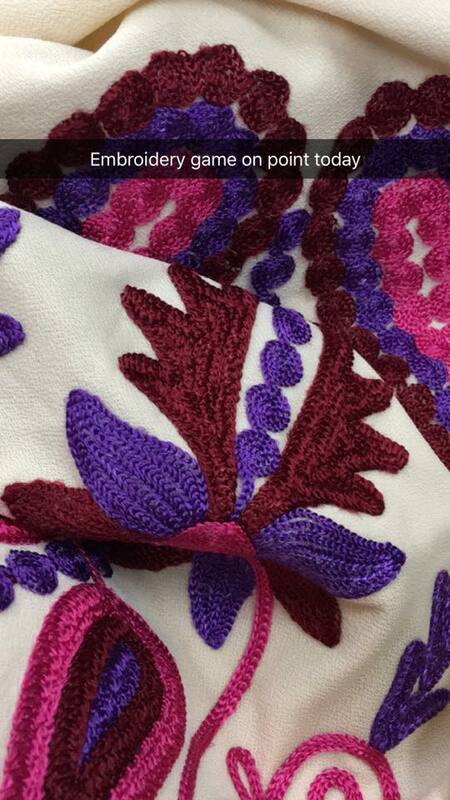 It has a bohemian feel to it, with lots of pink and purple embroidery. In addition to being stylish, it is incredibly comfortable. Both pieces cost me around $60 USD.